Last year the Financial Times reported that advisers at the Department for Education were conducting official DfE business through private email accounts to avoid the freedom of information act. In response to a number of complaints, the Information Commissioner visited the department and after concluding that it wasn’t clear that the act had been properly understood or followed by staff, issued guidance. At yesterday’s education questions, Kevin Brennan asked Michael Gove to confirm that he and his advisors had never deleted emails, from private addresses or otherwise, to avoid scrutiny. Visibly rattled, Gove refused to answer the question and simply asserted that he and his department had operated in accordance with Cabinet Office policy. A letter I received from the information commissioner today may explain why. “In addition to the guidance and good practice report published before Christmas, I can confirm that my office also has a number of active investigations in to these issues. Since taking office Gove has proven evasive on a succession of key questions. He refuses to reveal the cost of his free schools programme. He wouldn’t answer my parliamentary questions about the grant he awarded, without tender, to the New Schools Network until he was ordered to by the House of Commons’ procedure committee. He had to be ordered to answer a freedom of information request about the same subject by the Information Commissioner. He refuses to release details of consultation by academies, and won’t publish the minutes of discussions at the DfE board (the department releases only basic headings). It makes you wonder what it is that Gove has to hide. Perhaps when the Information Commissioner concludes his complaints, we might discover the answer. 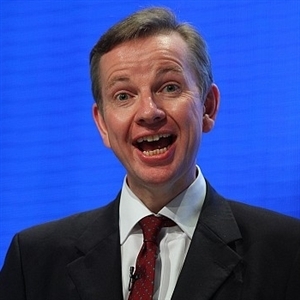 That shameless monomaniacal arriviste political zealot Michael Gove is being very generous with our money. Give us a break, Michael, I’m still trying to work out how the Thatcher government fleeced us! You seem to have missed the main point here. Section 77 is the part of the Act that allows for criminal prosecutions. So the Commissioner is now investigating some individuals at the DfE for *criminal* actions.